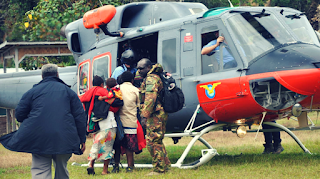 In a small village in Nipa-Kutubu district, Southern Highlands Province, the PNG Defence Force have recovered six out of 10 bodies buried in a landslide. Villager Robert John said three of the deceased were students from Homa Primary School while Sali Mawi left behind a beautiful wife and a son. “Their bodies were being covered by huge landslides and it is hard for them to dig in to locate and recover,” stated the PNGDF team. The 7.5 magnitude earthquake last Monday has now displaced more than a thousand people and all of them are now congregating at Pawa Primary School using classrooms as temporary shelters.